We are specialists in machined parts manufacturing. Our advanced systems insure on-time delivery of quality parts. 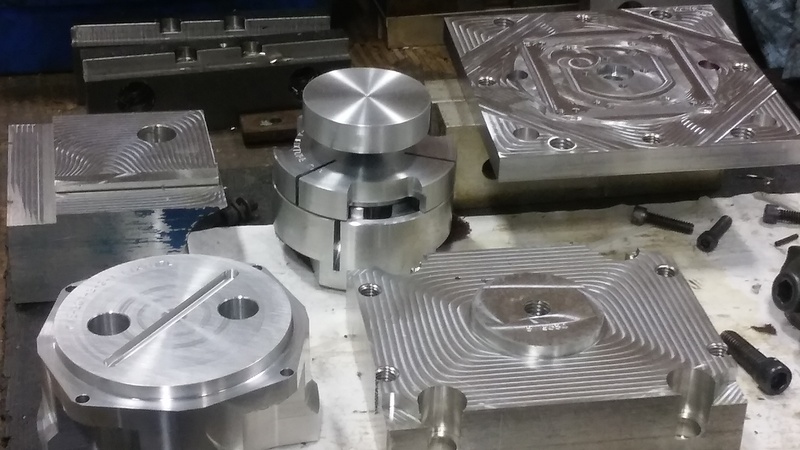 We are a full service company that can produce any type of machined part, from high precision to simple parts, and in any quantity. Though still small in comparison to others, Kennley was built on quality and delivery; in other words, the parts you need when you need them. Originally doing business with only one or two large companies in and around the Richmond area, Kennley has expanded to serve businesses large and small. Kennley-manufactured parts can be found in packaging, bedding, medical, and canning plants in over 30 countries around the globe. Kennley produces machinery used to create items as diverse as rail car bearings, pharmaceutical packaging, food items, aerospace equipment, and weaponry for the Department of Defense. We work with engineering firms and research labs on a regular basis to assist in the creation of prototypes and functional designs. Kennley can accept most drawing file formats including AutoCad and SolidWorks. We can use any .STP file, PDF or vector drawing. If you have a design idea and need assistance to get it into an effective drawing, we can assist you with that process, too. Copyright © 2019 Kennley Corporation – Precision CNC Fabricators. Powered by WordPress. Theme: Accelerate by ThemeGrill.